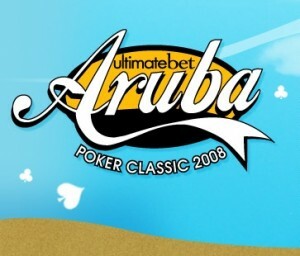 The changes continue to come at UB Poker, this time the popular online poker site is hoping for addition by subtraction, deciding to cancel their most popular and recognizable poker tournament the Aruba Poker Classic. UB CEO Paul Leggett made the announcement citing the company’s plans on creating a $500,000 monthly tournament –with the goal of growing it to a $1 million guaranteed in the future—as well as having a stronger presence at other tournaments around the globe. The Aruba Poker Classic has always been a big draw (it’s in Aruba after all) but the online poker site, one of the few USA Poker sites, feels its resources can be better spent elsewhere. The tournament’s popularity hasn’t really translated to television success because of its independent status –the Aruba Poker Classic is not affiliated with a major poker tour—and television success is the primary reason to sponsor a major poker tournament. 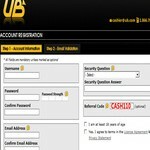 UB referral code is a poker website, like the name suggests, that focuses specifically on suppling the best UB Referral Code to players looking to sign up at UB Poker. This entry was posted on Thursday, March 11th, 2010 at 7:47 pm and is filed under Poker News. You can follow any responses to this entry through the RSS 2.0 feed. You can leave a response, or trackback from your own site.